You’ll never misplace a recipe—or be at a loss for what to make for dinner—again. You know what would be perfect for a healthy dinner tonight? That delicious turkey meatloaf recipe you tore out of a magazine a few months ago. But before you can make it, you have to find the recipe. And that, it turns out, is probably harder than it should be. If you’re like most people, your recipes are scattered all over the place—some online, some in a recipe box, at least one at the bottom of your beach bag from when you brought a magazine to the ocean—leaving you wishing you had a better way to get organized. That’s where these apps come in, which can help you with both recipes you find in cookbooks and online. Use them to bring order to your recipe collection and see how much more inspired you feel in the kitchen. Paprika: Many people use Pinterest to save recipes they find online, but Paprika might be a better choice. 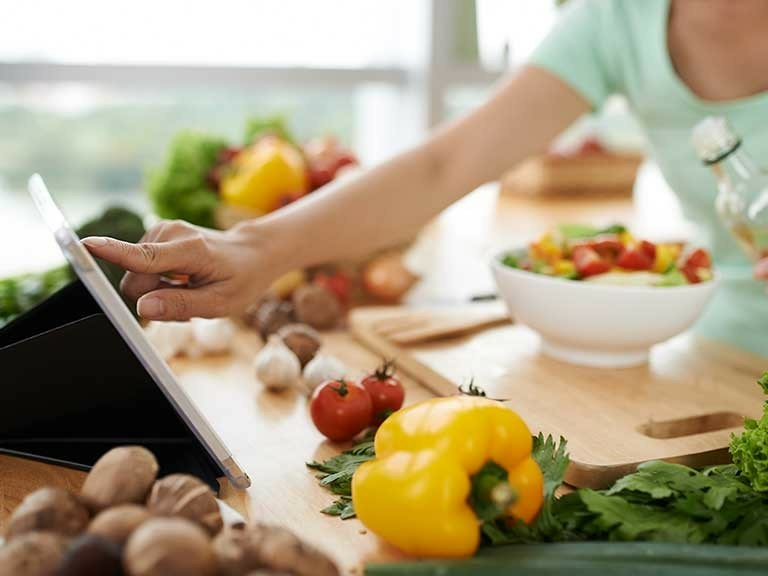 The app allows you to make grocery lists, meal plans, and cross off the steps of a recipe while you work your way through it. Whenever you see a recipe while browsing on your computer or phone, just save it into Paprika. OrganizEat: Many recipe-organizing apps make you manually enter a recipe if it’s not online, but not this one. Just snap a picture of a recipe—whether it’s the card your grandmother wrote out her famous cookie recipe on or a page from Sunday’s paper—and it will store that recipe alongside ones you found online. Eat Your Books: Do you have a bookshelf full of cookbooks but never know which one has that great grilled eggplant recipe in it? This is your answer. Just select the cookbooks you own from the app’s library to create your online bookshelf. Then search for any ingredient you want to use or dish you’re craving, and Eat Your Books will tell you exactly where to find it in your collection. Need some dishes to test these out with? Try these kid-friendly pasta recipes!